Provided to YouTube by NexTone Inc. この場所が好きで ? 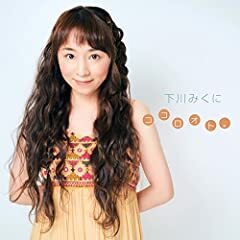 下川みくに ココロオト。 Released on: 2018-07-18 Auto-generated by YouTube. Song: Missing Artist: Shimokawa Mikuni Album: KIMI NO UTA Track: 9 Year: 2004 Keep watching & enjoy it! Song: Pavement Artist: Shimokawa Mikuni Album: 392/Best Selection Track: 4 Year: 2002 Keep watching & enjoy it! 下川みくに「Alone」『幻想魔伝 最遊記』後期エンディングテーマ 2000年（平成12年）発売 作詞：六ツ見純代 作曲：ab:fly.